Is there a new pest on the block? Do you remember how well our onions were growing? 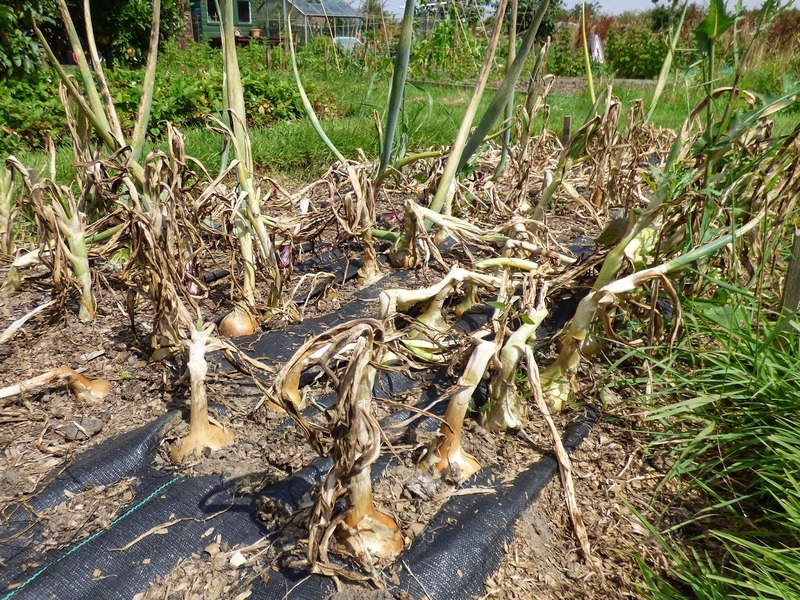 Well one day last week we went to the plot to find all our onions and shallots in all areas of our plot looked like this. Suddenly the tops had died. We weren't the only ones on the site to experience this as some other plotters were noticing the same problem. All I could think was that the dreaded allium leaf miner had eventually reached West Yorkshire. 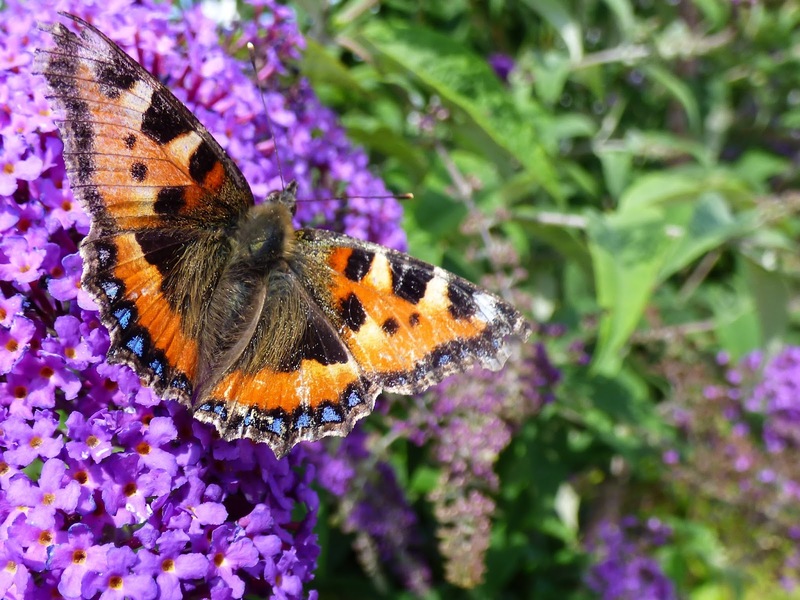 Some allotment holders south of us now have to grow alliums under cover and they have kept telling me that the pest was on its way up North! As I do at times such as this, my first thought (or maybe second) was to take a photo so that I could search the web for confirmation of my fears - or better still find out that the photo showed damage of a very different less worrisome kind. The holes in the leaves seemed to indicate that my fears were justified and the dreaded allium leaf miner had reached us, however I am still not absolutely sure. 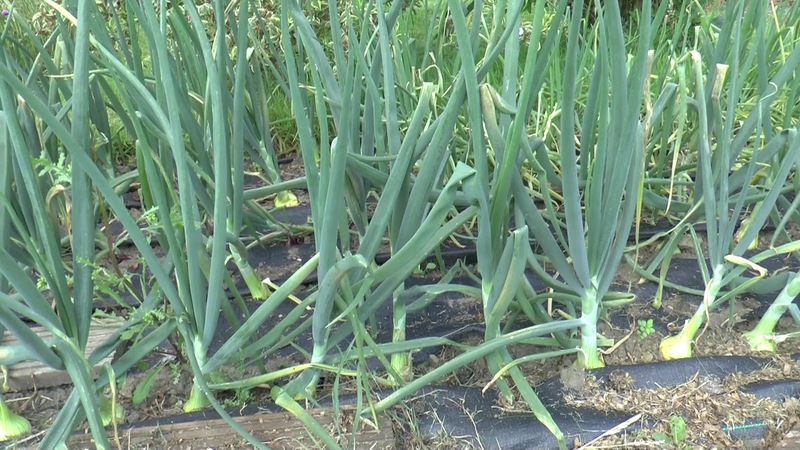 From what I read I would have expected to find grubs inside the leaves and also why the sudden demise of every single onion and shallot top on our plots and the plots of others all some distance apart. 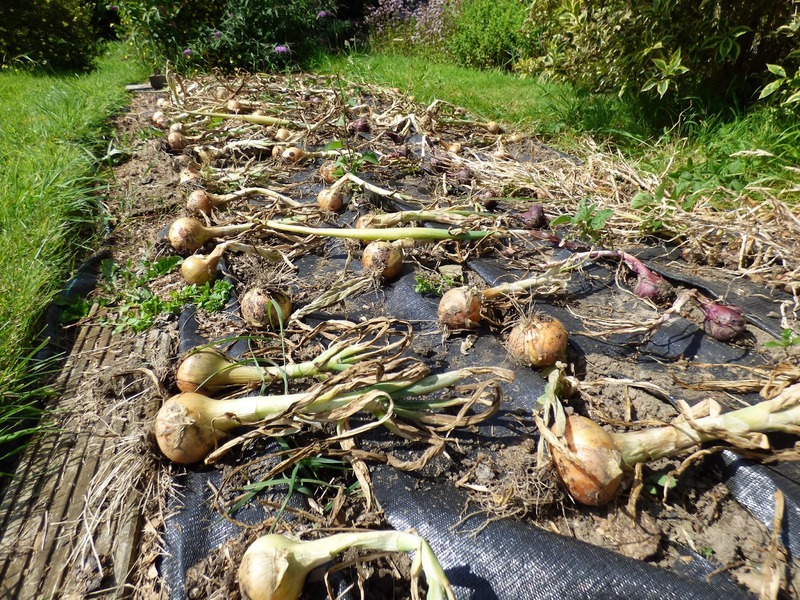 As the onions were obviously not likely to make any more growth I lifted them. There doesn't seem to be any evidence of pest damage to the bulbs which are of a useable size. Hopefully if this lovely weather continues the bulbs should dry well but maybe when I clean them up I will discover a problem lurking beneath the surface. When we get a chance we will lift the bulbs off the ground on some wire mesh to get some air circulating all around them. 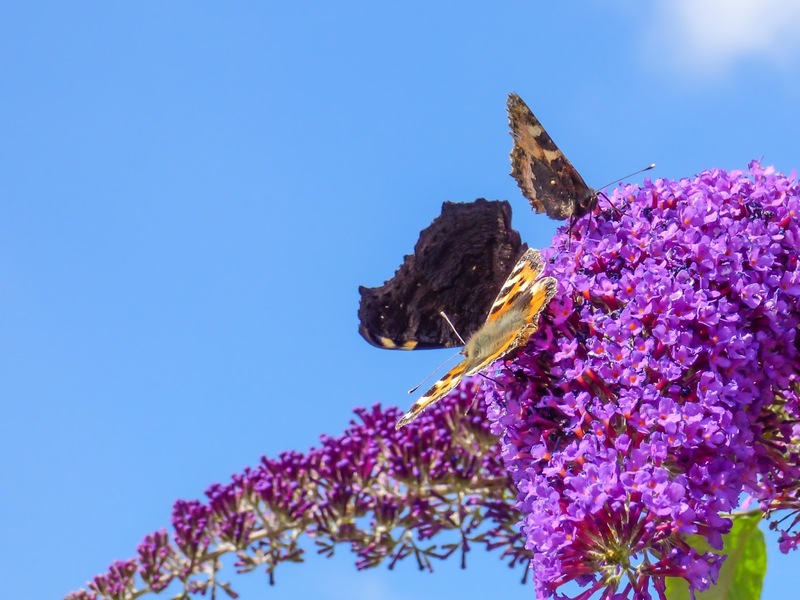 So do we indeed have a new pest in the block - after last year's mild winter it would come as no surprise that an army of allium leaf miners had advanced into our area . One of the downsides of a mild winter is the pests survive and flourish along with the good guys. Maybe there is another reason for this. 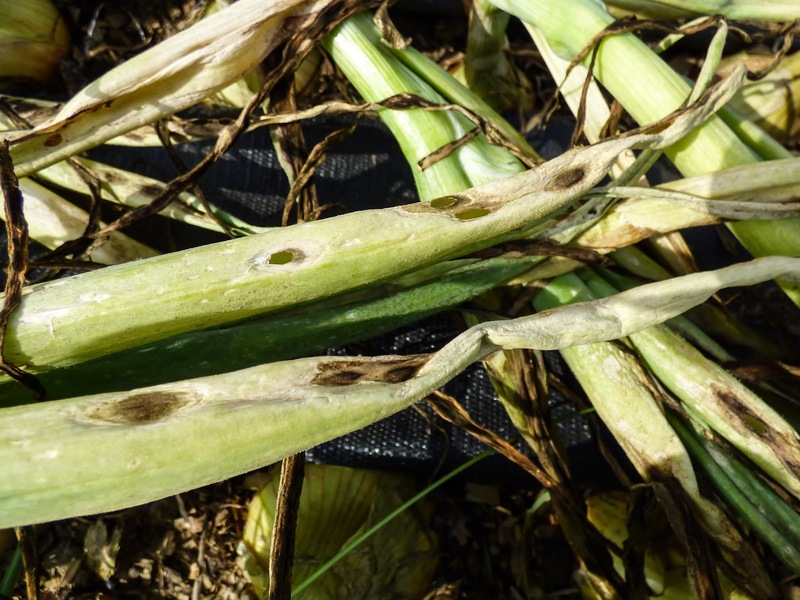 Anyone had experience of allium leaf miners and if so does the damage look like this? At this rate soon everything will end up growing under mesh or netting! The blackcurrant bushes have now been more or less pick over and I'm sure the currants that I have missed will be spotted by the blackbirds. This doesn't, however spell the end of the soft fruit harvest as the alpine strawberries and thornless, Loch Ness blackberry are keeping us supplied. I'm also picking a few blueberries whenever we visit the plot. I'm taking a tip from the blackbirds and picking any blueberries that are just beginning to ripen. I've found if I pop them in a tub they quickly ripen away from the plant. The small amount below are the pickings for the whole week. For some reason our bushes are not very prolific - especially one of the four. Any tips on how to increase the yield will be appreciated. 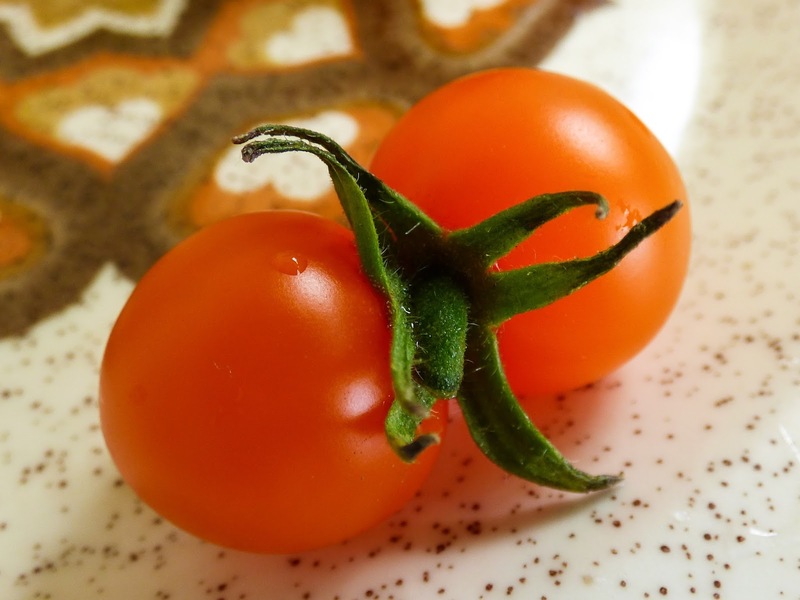 So far Sungold is the only variety producing ripe tomatoes - including twins. 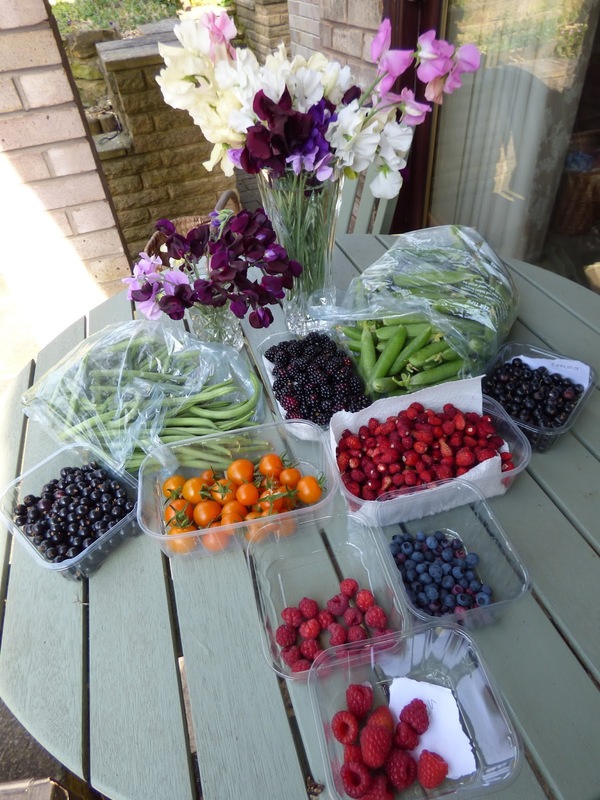 We are picking from both the garden and plot greenhouses. In the plot greenhouse Sungold hasn't succumbed to whatever ails the tomatoes growing in two of the grow bags. 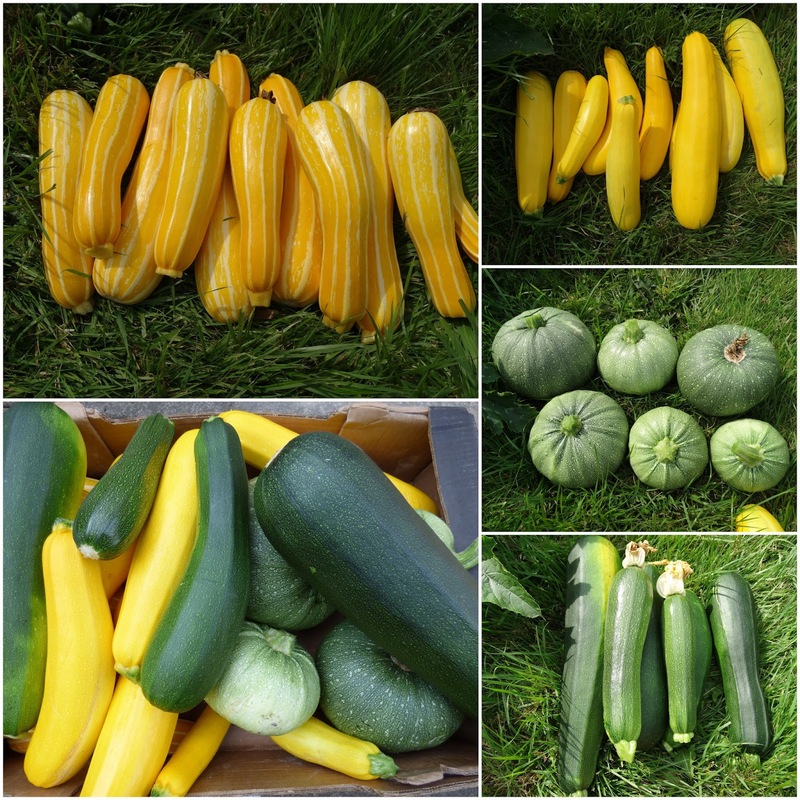 Below is what happens when you forget to pick the courgettes on one visit to the plot. You end up with mini marrows (marrrettes?). So far we have off loaded some onto, my sister and our next door neighbours at home and on the plot - fortunately the plot neighbours are new and haven't grown any of their own yet. I've at least one other recipient earmarked but if you live in the Wakefield area and are willing to give a home to some of our excess then drop me an email! The Woodblocx raised bed in the garden has started to produce some salad pickings. 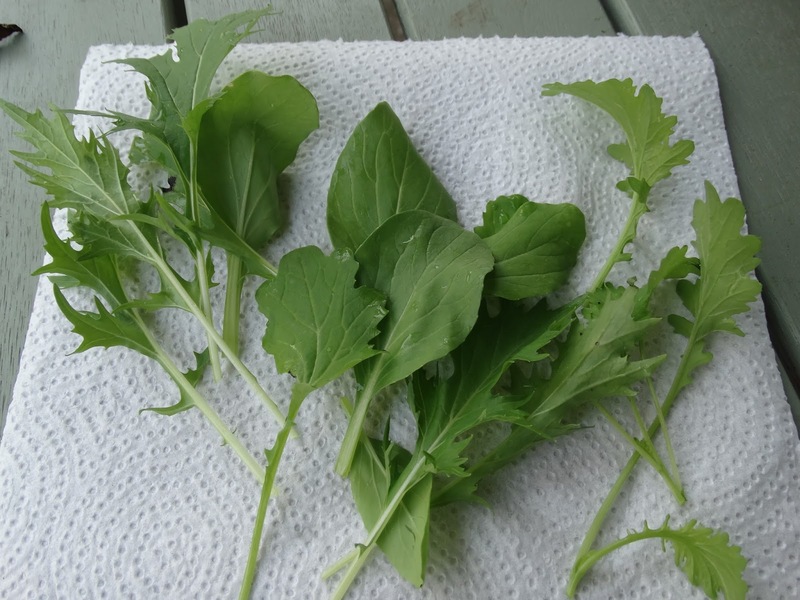 Just a few salad leaves at the moment but things are looking promising. An update on this deserves a separate post which will come shortly. We then have the exotic additions to the harvest. 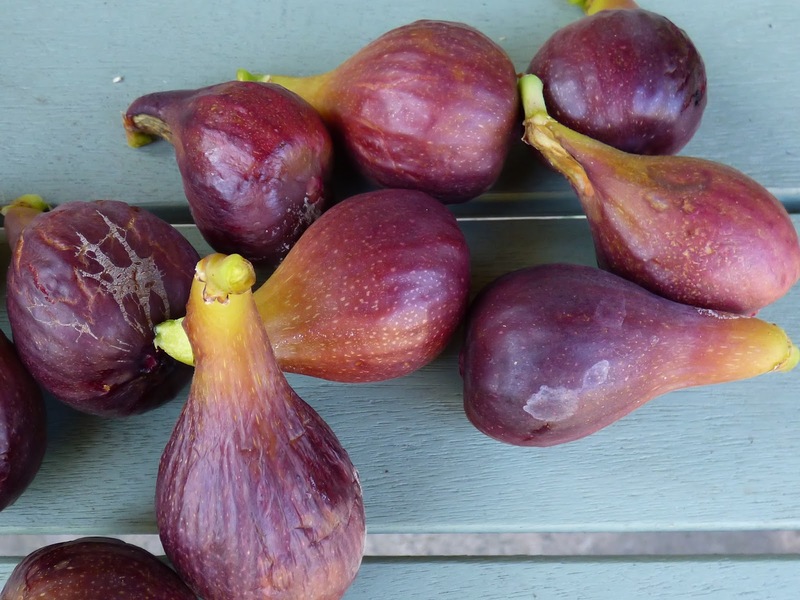 We maybe left the figs, ripening on the Brown Turkey fig plant in the garden greenhouse, a little too long but we still managed a small harvest. We'll be a little more diligent next year. Fortunately Brown Turkey is self fertile and so there is no danger ending up eating more than we bargained for. 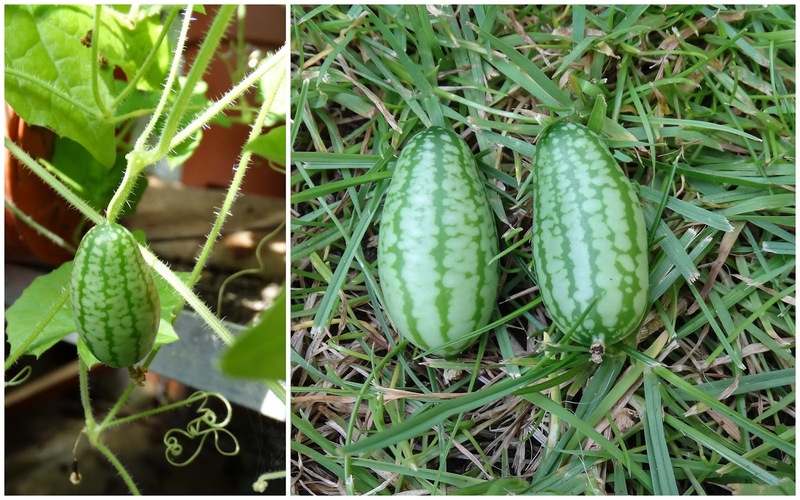 "Already a firm favourite amongst James' fans and gracing the dishes of many a TV chef, these tiny watermelons lookalikes have a refreshing flavour and bags of personality. 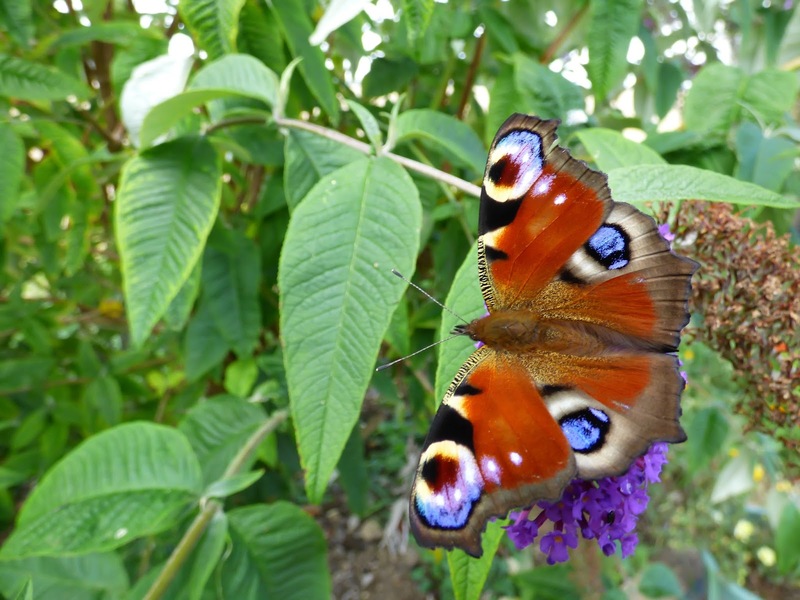 Plus, their lush vines will produce masses of fruit throughout the summer with a ‘cucumber and lime’ taste, Ready when they are grape-sized and still firm to the touch. " Too late, we read the negative opinions of fellow Bloggers - the seeds had been sown. We picked our first two fruits this week and agree that they definitely don't live up to the hype. Maybe out taste buds lack the required sensitivity. Apparently the fruits can be pickled like gherkins so if we end up with more fruits, I'll try that. We are now both suffering from podders' finger. We have stripped the second lot of broad beans from the plants. The peas really aren't enjoying the hot dry conditions and so we also had to quickly pick peas from our second lot of pea plants. The peas and beans have been duly podded and are now in the freezer. Also in the legume team the climbing French beans - Cobra are beating the runner beans into production. If you look carefully in the photo above you will see the under ripe blueberries that I picked at the weekend and that have now ripened. When we remember we also bring back a couple of lettuce from the plot. These are pulled up with the root and popped in a bucket of water and kept outside. We can then harvest fresh leaves as required. I picked the first gladioli this week and other spikes are not far behind. I cut them when colour starts to show on the floret at the bottom of the spike. The sweet peas are now in regular need of cutting to avoid any seed pod formation which would cut short the flowering period. I usually buy packets of mixed sweet peas but this year I went for a collection of named varieties chosen specifically for cutting. All except Beaujolais have incredibly long stems but the dark burgundy colour of the Beaujolais flowers makes up for the lack of stem length. I'll be interested to find out whether the length of the stem is maintained as the plants get older as often later produced sweet pea flowers have shorter stems. 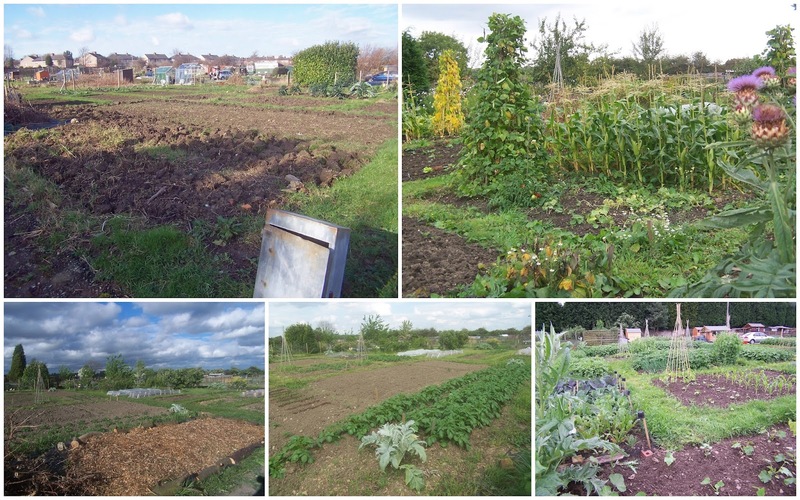 On some blogs that I visit I have recently come across new allotment plot holders who feel a little overwhelmed with what they have taken on. They feel that they will never get 'on top' of their plot. This post is intended to show that it can be done but that when taking on an overgrown plot there is no quick fix! We took on our fifth plot at the end of August 2005. 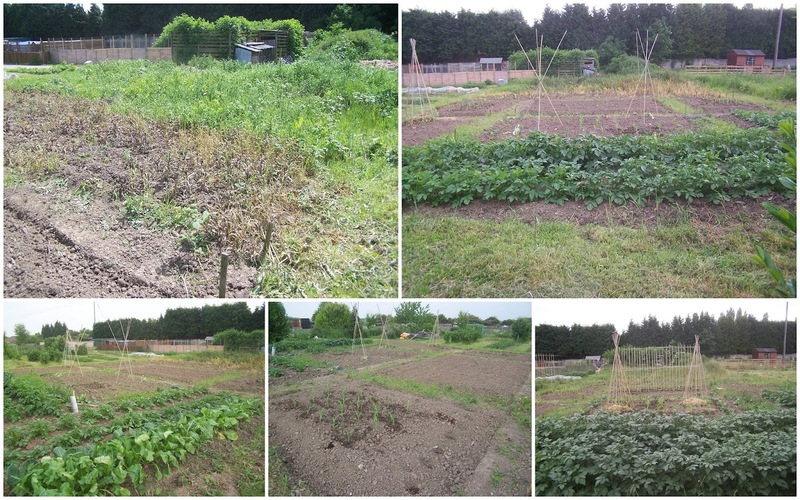 We never started out expecting to garden five plots but our site was very overgrown and in danger of being closed so at that time it was typical for plot holders to have multiple plots. 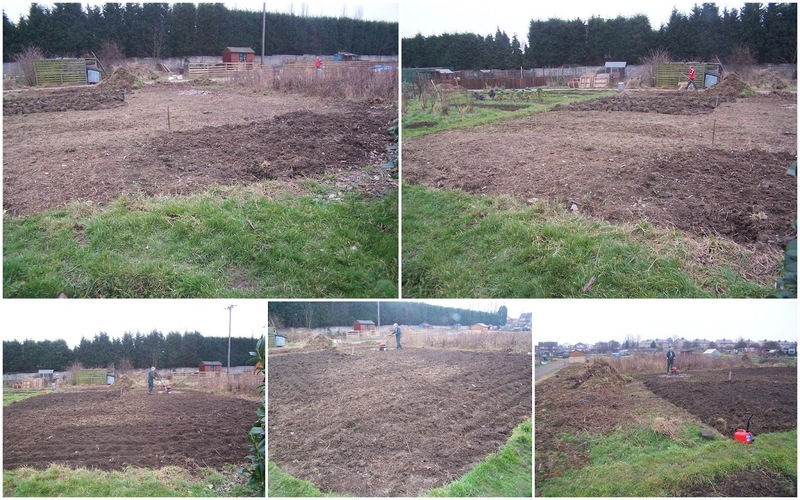 Except for the first plot, which we first rented in the late 1980's and had been ploughed by the council (back then they even mowed all the vacant plots regularly too), all the plots were in a similar condition when we started them. 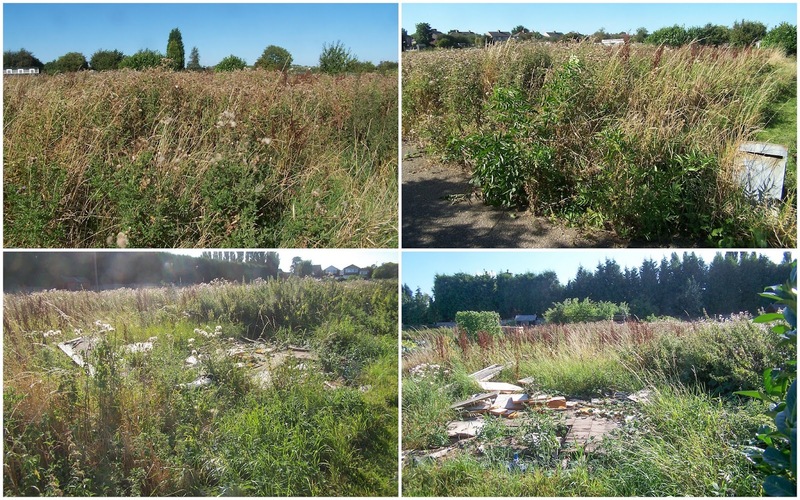 Perennial weeds were above head height and the plots were littered with assorted debris mostly hidden amongst the undergrowth or buried below ground. Only when we took the final plot did we decide to keep a photographic record of our progress. The fairly flat bit was what remained of a shed that had been partially removed by another plot holder leaving broken glass, pieces of foam and rotten wood behind. It previously looked like this. 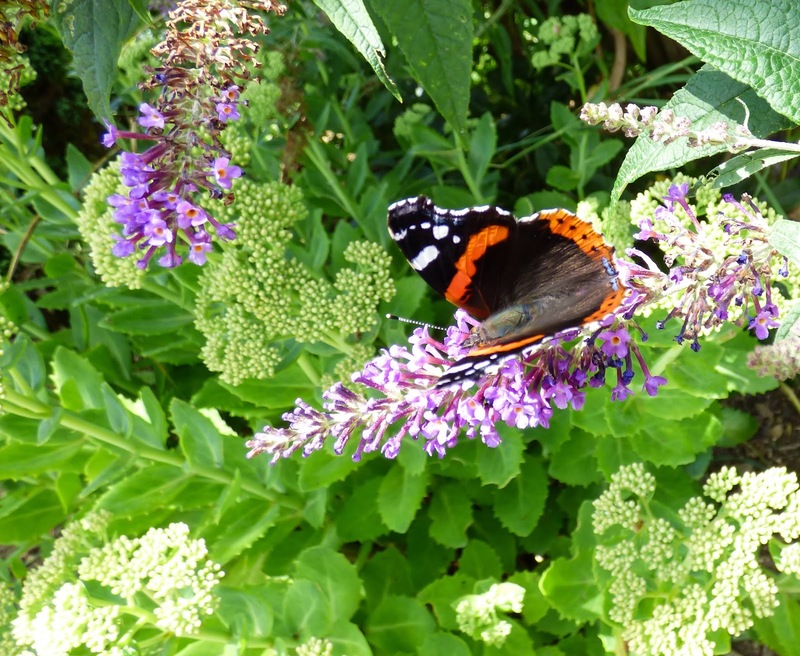 The jungle of weeds included a large proportion of large docsk and bramble both of which had become firmly established. 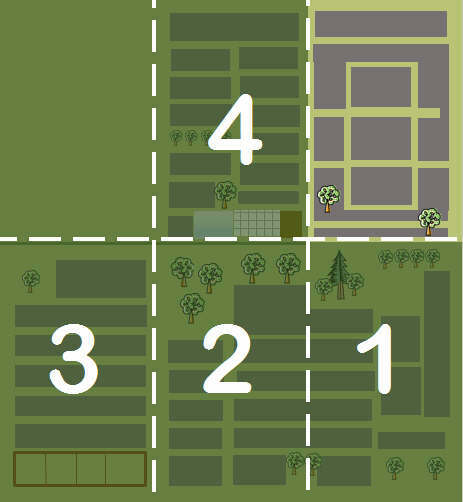 The first task was to clear as much top growth as possible. 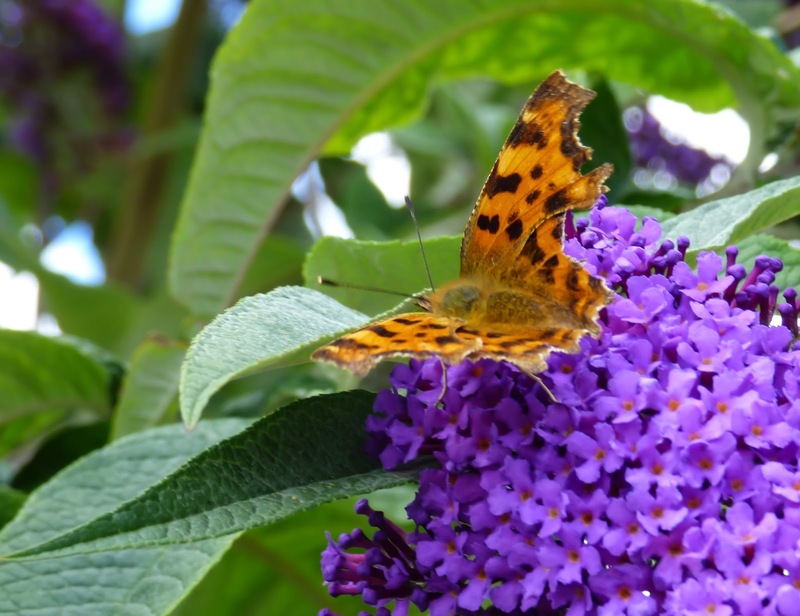 This had to be done with due consideration of what type of material could be lurking amongst the undergrowth so it wasn't just a case of setting to with a strimmer - a pair of shears was the tool of choice,. I have already mentioned broken glass, we also found a supermarket trolley, a mystifying number of television aerials, a pathway made up of metal grids and a large piece of partially rotted carpet. Gradually, by October we started to see daylight and piled up any rubbish that it was possible to burn, the rest went into a skip, (the council provided a skip back then). 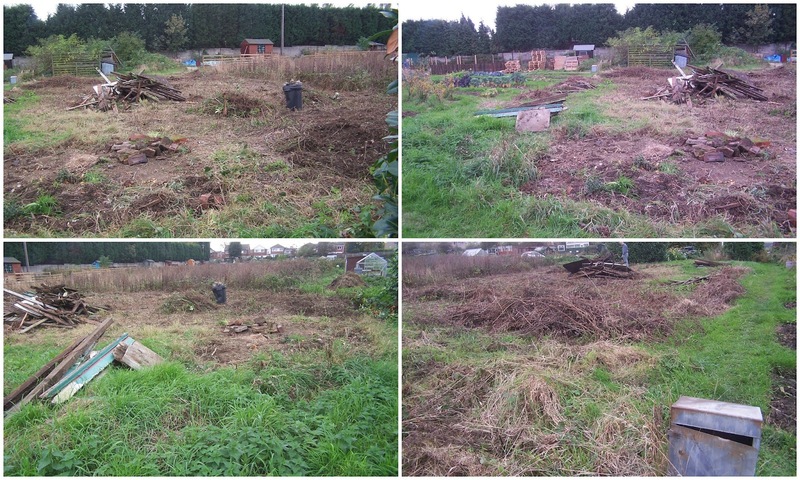 Really we took the plot at the right time of year as we did lots of the clearing in the winter months when the weeds were not growing and we didn't have to keep on top of the other plots. We were also lucky that we didn't have a very wet winter so digging and removing weeds started in January 2006. We hoped that the winter frosts would help break down the clumps of heavy soil. Clearing continued into February and a rotavator was used to help break up the clumps. 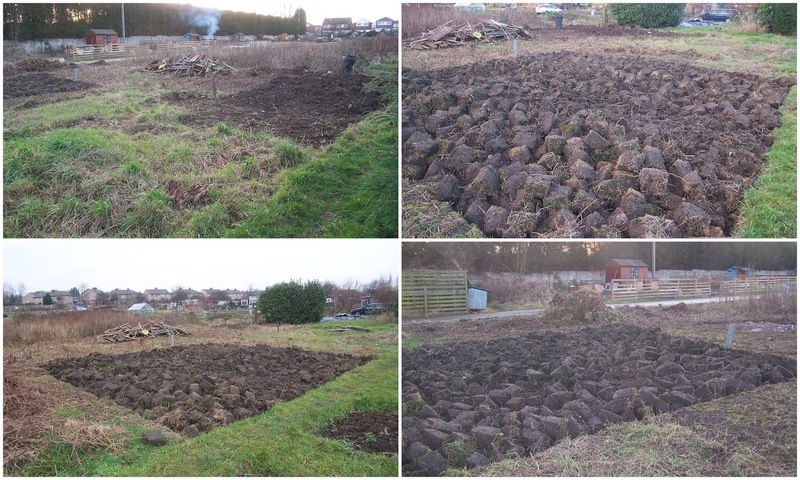 As many weed roots as possible were removed and by April we started to mark out a rough plan so that beds could be dug over and what would become paths left to become firm. By now we needed to spend more time planting up and maintaining the other plots. 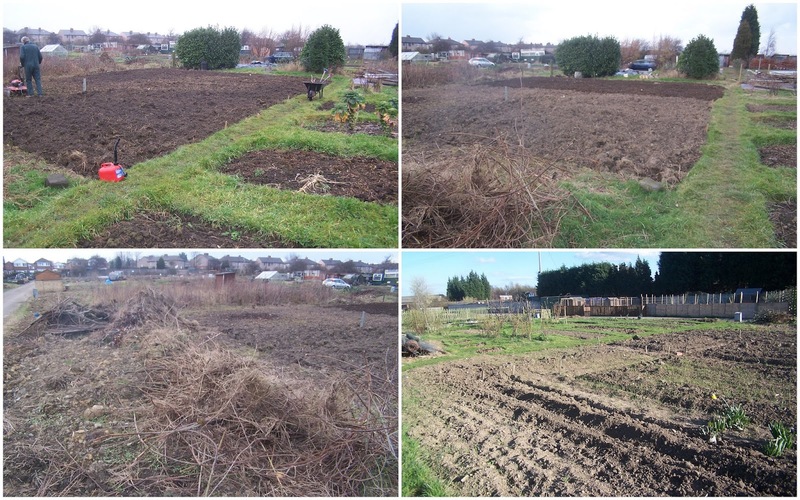 We planted up a large area of the newly prepared plot with potatoes and decided to just make sure that the other half of the plot was kept under control until we could tackle it again in earnest. 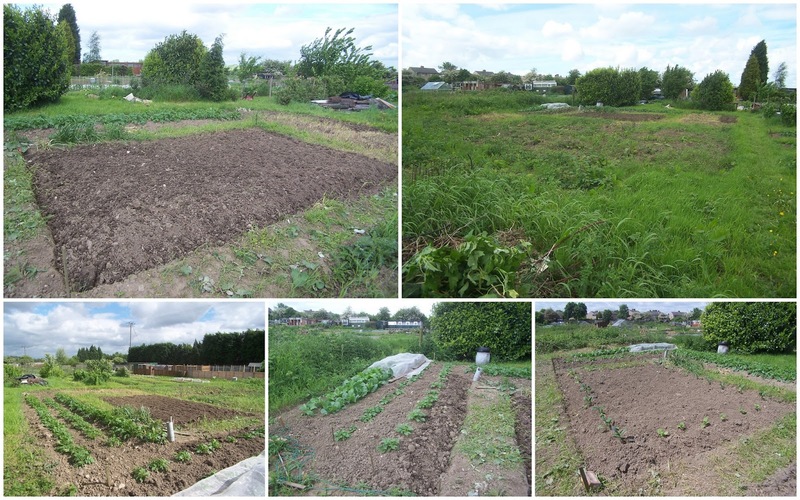 The weeds in the unplanted half of the plot were kept under control with a non-persistent weedkiller and more crops were planted in the half we had cleared. 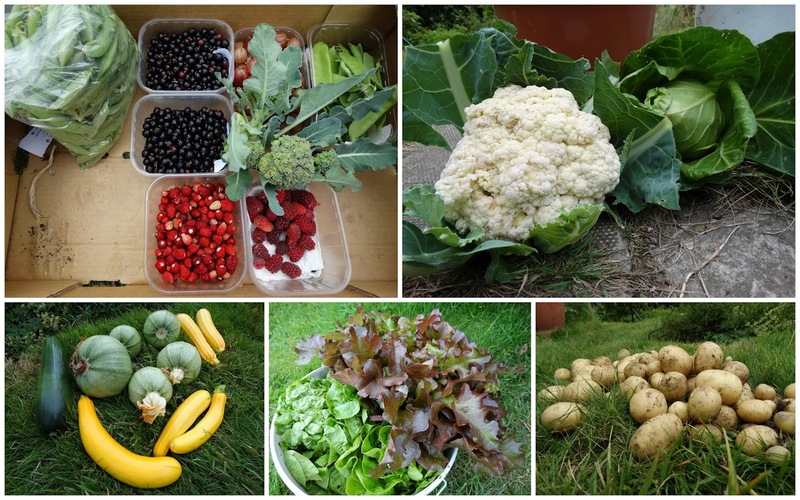 Having not been cultivated for quite a few years the soil was really fertile and things grew really well. We had never grown such huge cabbages. 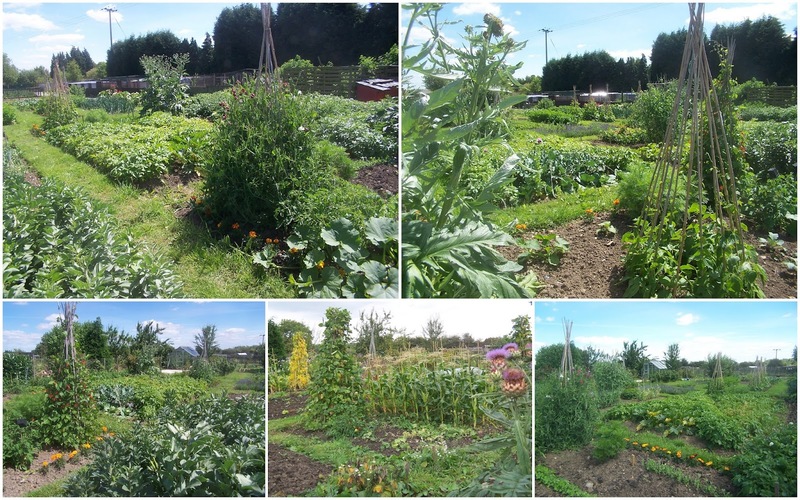 Once the 2006 growing season was over we tackled the remaining half of the plot which was then fully planted up in the 2007 season. The grass was allowed to grow on the paths and frequent mowing meant that it gradually looked more like a lawn that an area that we just hadn't weeded. In 2008 it looked like this. 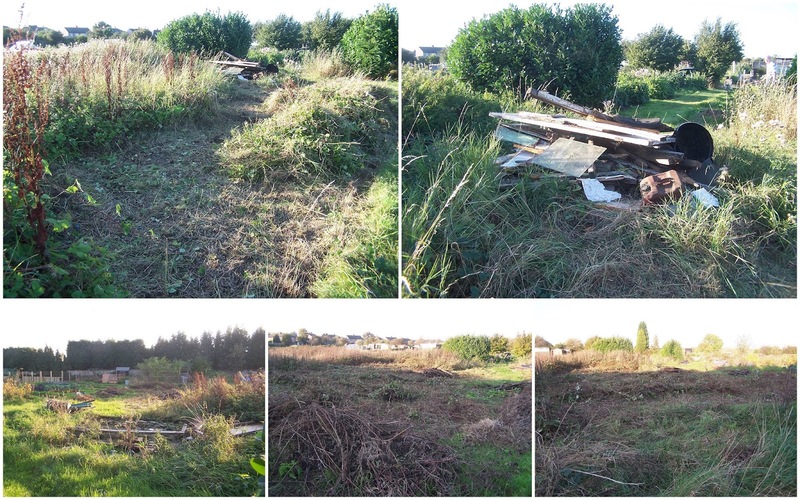 If we could clear such a badly overgrown plot and still maintain four other plots with only time to spare at the weekends then anyone can. You just need to be systematic and be prepared for some hard work. No-one ever said it was going to be easy but think of it this way - you won't need to go to the gym! If you are interested the following is a video of the plot (about 4 minutes long) as the plot looks now. 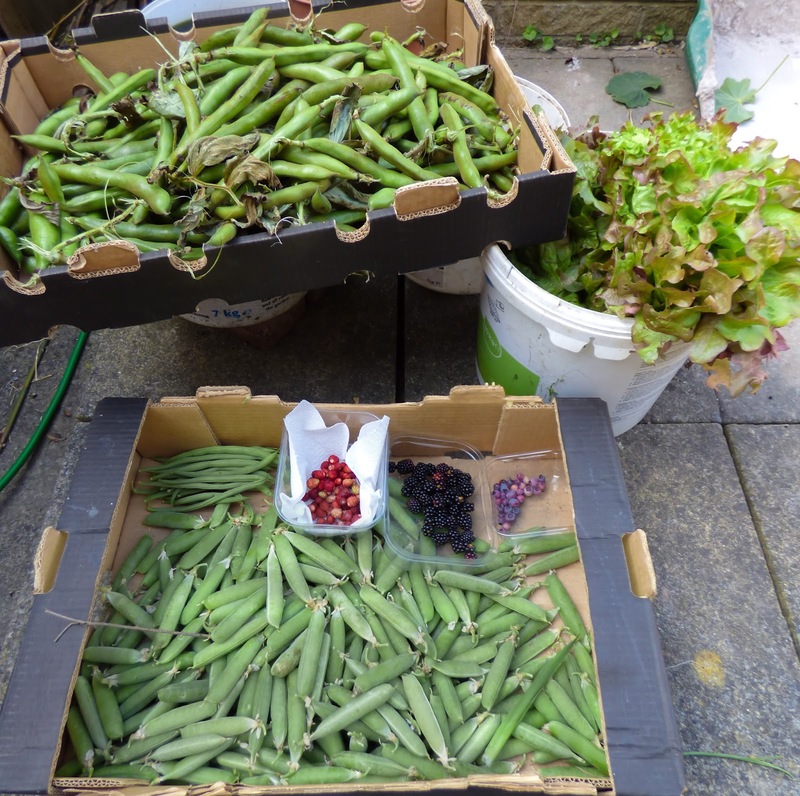 It was salad weather last week and the plot and garden provided us with a plentiful supply of ingredients - various types of lettuce, Mini Munch cucumber, raw peas and raw courgette. We have also picked the first ripe Sungold tomatoes from our plot greenhouse in spite of some other varieties being suddenly struck down in their prime. We harvested potatoes from the blight attacked plants. The potatoes go down a treat eaten either hot or cold. The starting pistol has been fired with respect to the inevitable courgette glut so we will be looking for recipients happy to receive excess fruits. We are managing to claim a share of the cauliflowers despite slugs developing a partiality to the curds. Some of the deheaded calabrese have produced welcome side shoots - not many but worthy of picking. The first lot of peas have been picked over and will be frozen and the mangetout have just about fizzled out. Having now probably picked enough redcurrants it's the turn of the blackcurrants to take centre stage. The red team, however are continuing to feature as the alpine strawberries are producing lots of fruit. The tayberries are slowing down production - much to the disgruntlement of the resident blackbirds but we are still picking a few raspberries from the new canes that we didn't expect to produce anything this year. I picked my first lot of dahlias. 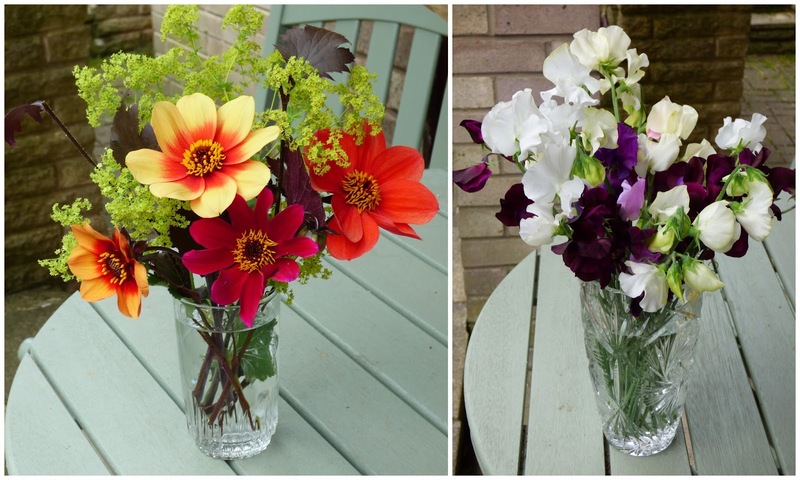 After deciding to forego dahlia growing this year we relented but have chosen simple single varieties. 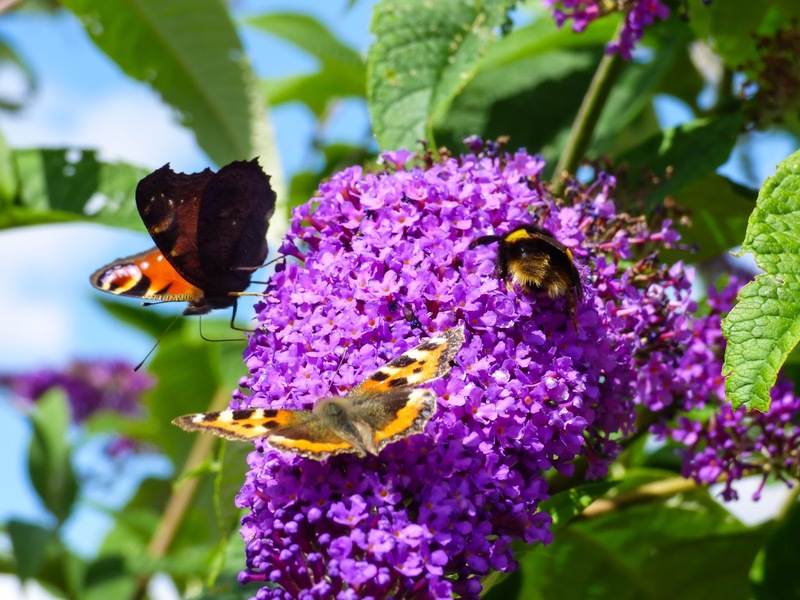 We must be morphing into bees as we have developed a taste for single flowers! Sweet peas are now starting to flower so we need to keep up with removing the flowers. 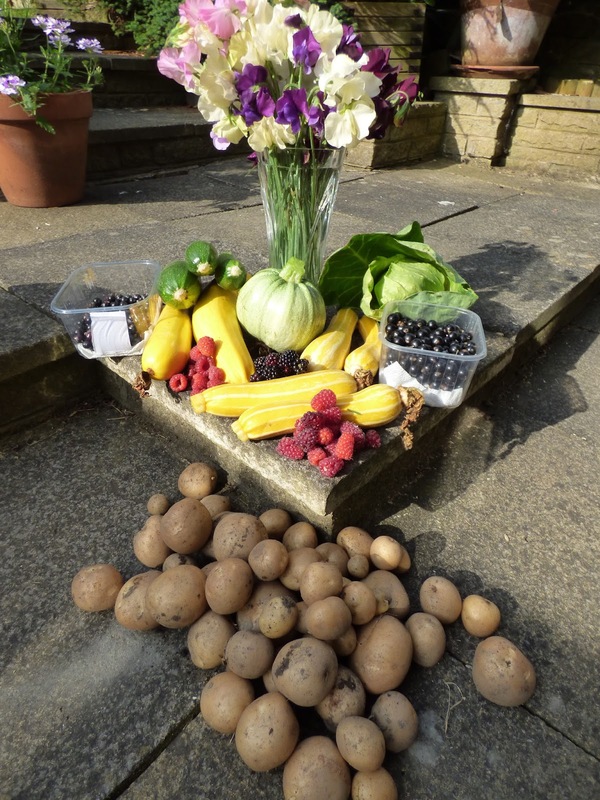 This week two bunches have been gathered and they haven't really got going yet. Some of the cabbage above may be destined to be made into coleslaw. Tucked in amongst the courgettes are our first ripe blackberries - another score for the black team! 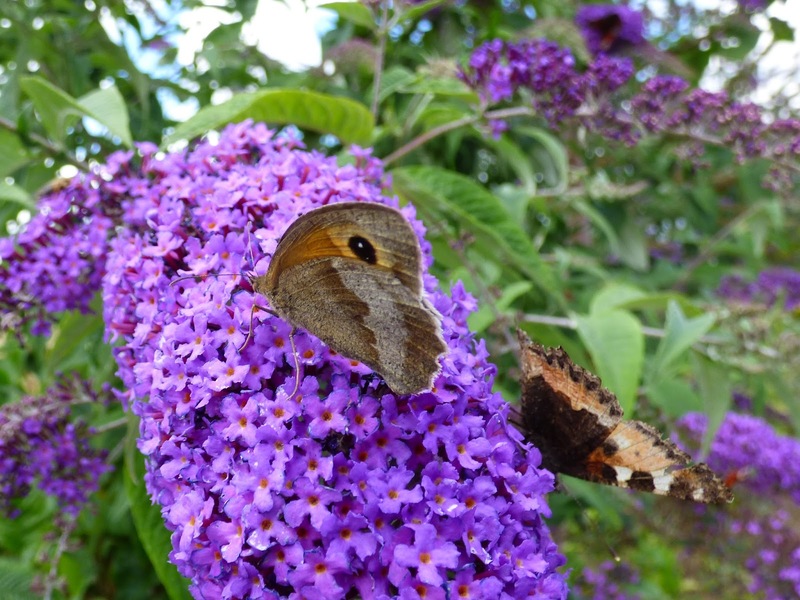 Why not pop across to Daphne's Dandelions to see what else people were gathering in last week. our tomatoes problems have moved from the garden greenhouse to the plot greenhouse. 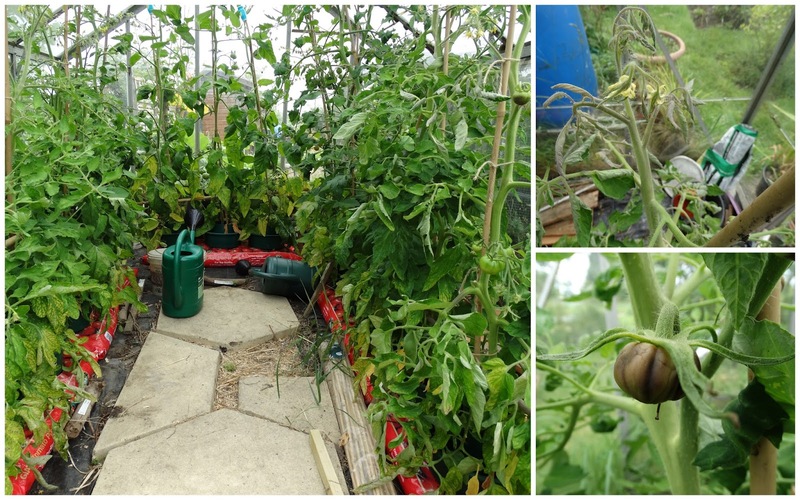 Suddenly between visits to the plot - we try to go every other day - some of our tomato plants looked to be struggling. 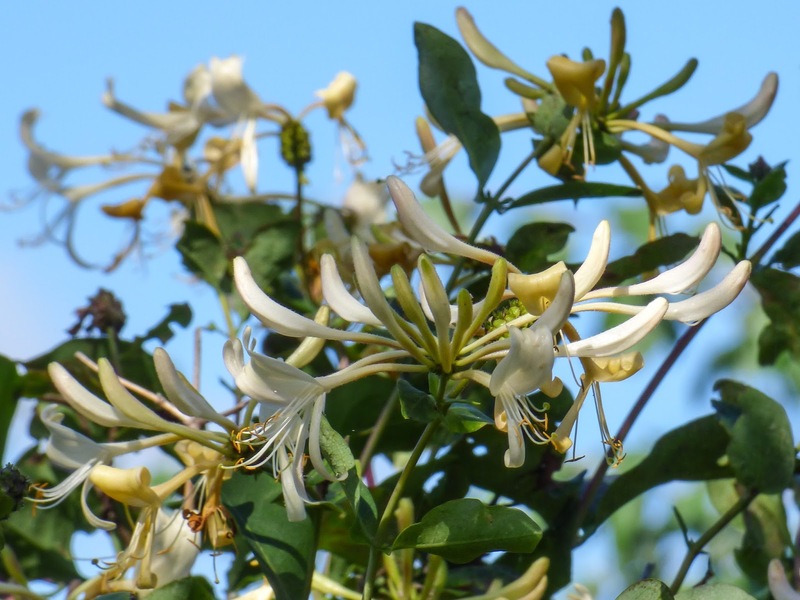 Two varieties Amish Gold and Sioux are failing. Sioux was our best cropper in the plot greenhouse last year but this year has developed brown stripy tomatoes and the tops of the plants have curled. The sickly plants are those either side of the door. The greenhouse does have side vents that Martyn has now rigged up so that they remain open and yet protected against entry of birds that could otherwise become trapped inside. 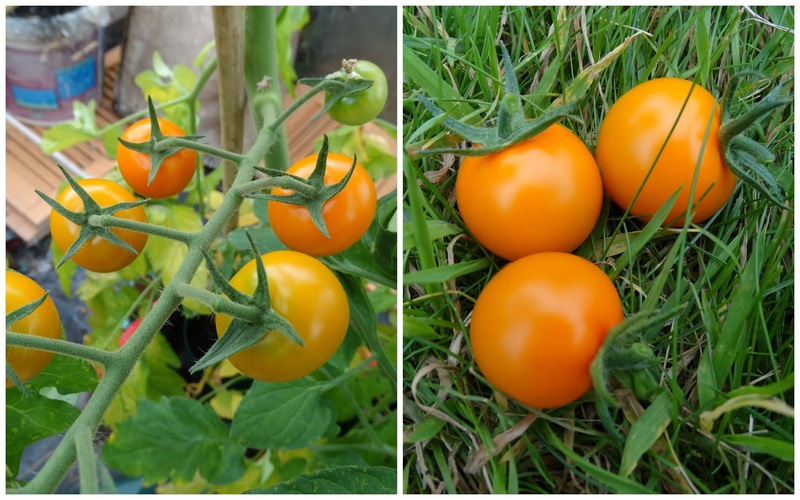 You would expect, however if the tomato problem was caused by poor ventilation that all the plants in the greenhouse would suffer but only plants in two of the growbags seem affected, in fact we are picking ripe fruit from the Sungold plants. Going back to our poorly tomato plants - I also sent this photo of the lower leaves of the ailing plants to the RHS. 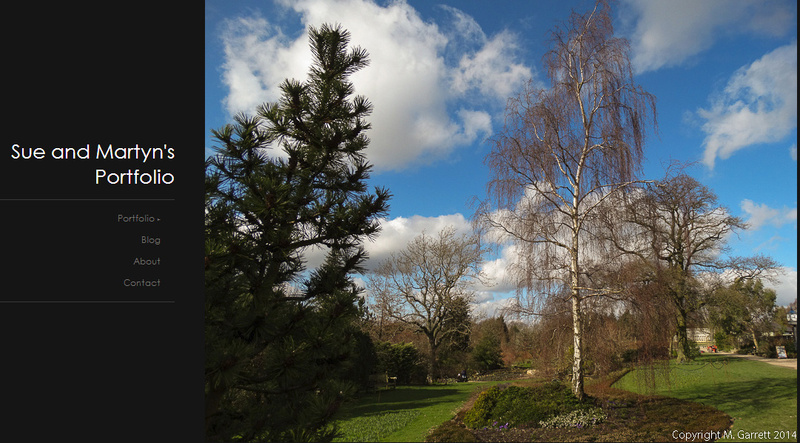 In response to the photo the RHS wrote suggested it was possibly a magnesium deficiency and to try applying Epson Salts. They added that the compost in the growbags could be - 'sub-optimal' - this can occur with peat-free and peat-reduced bags. It was suggested that we flush the bags with water to remove soluble salts and then feed as usual. Last year all our garden greenhouse tomatoes were affected by blossom end rot which is supposed to be caused by irregular watering. However, the tomatoes in the plot greenhouse were fine, in spite of less regular watering, than those in the garden greenhouse. What I draw from all this is that when plants are being stressed in some way we can only try to make an educated guess as to the reason. Blossom end rot is caused by a calcium deficiency. Irregular watering is blamed as this can cause the plant to be unable to access all the available calcium. 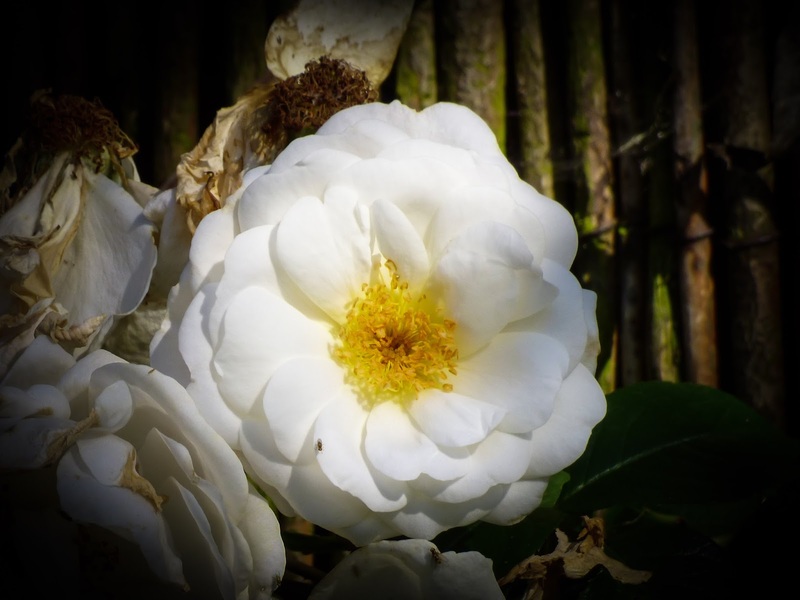 However, could it be that the compost is sometimes lacking in calcium which as a result causes blossom end rot. Interestingly the left over tomatoes growing in the plot cold frame and planted directly in the ground are showing no signs of a problem even though the plants were not exactly prize specimens when planted. After years of growing tomatoes etc. with few problems why suddenly is it proving to be a challenge? 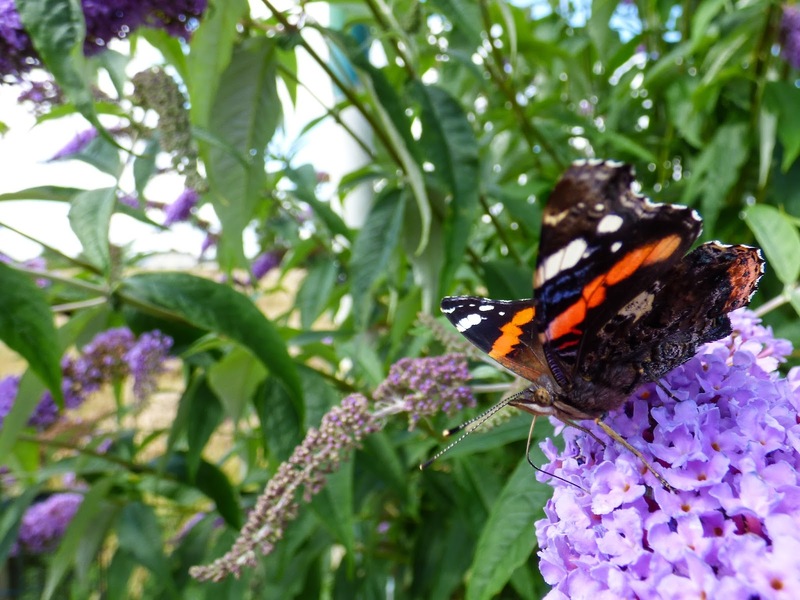 I'm wondering whether a problem with today's composts are causing the plants to be stressed and consequently the symptoms are being attributed to something we are doing wrong. 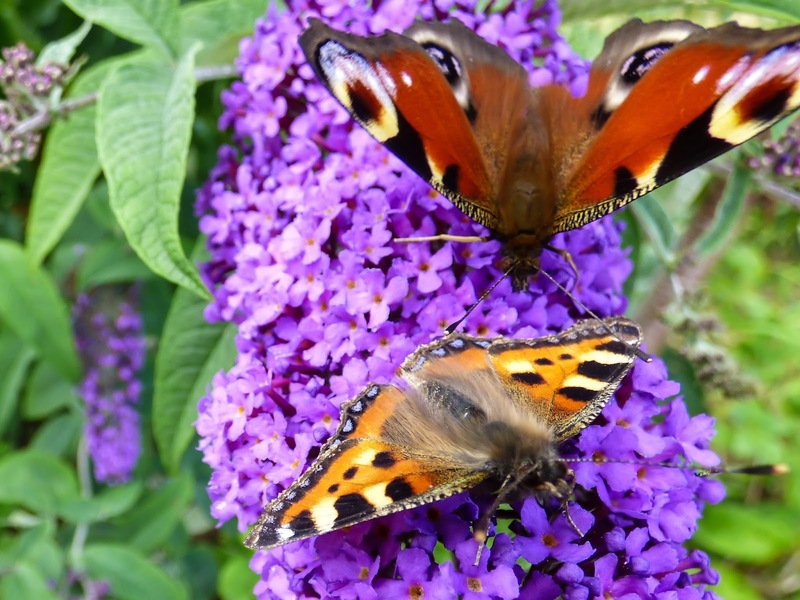 Professional growers are likely to create their own potting mixes and probably don't struggle with sub-standard growing media but for most of us this just isn't an option. I am concerned that the ingredients used in compost as well as producing a extremely variable product could also introduce contaminants as Mark has experienced this year. I'd be interested to hear of any problems anyone else has experienced when using commercial composts. 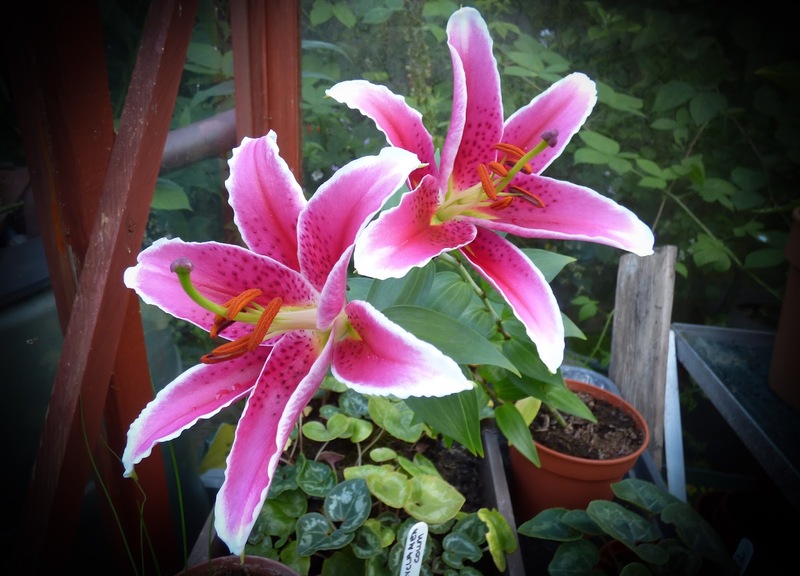 You may remember in my Greenhouse Update post at the weekend I mentioned a lily that was the only surviving member of a collection that I bought a while ago. 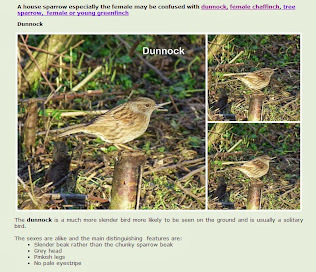 It wasn't a very significant member of the photograph so here is a closer view. 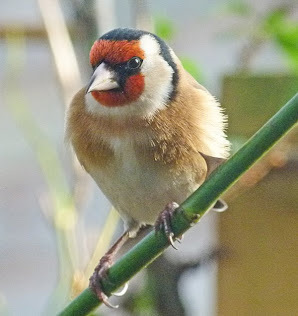 The bulbs had been potted up and left in the greenhouse when some sort of intruder rootled amongst the plant pots digging up and scattering the bulbs. The bulbs were actually rather small pathetic looking specimens to start with and had I been reviewing them wouldn't have had a favourable write-up. As it was some bulbs had disappeared completely obviously eaten or carried away by the aforementioned intruder. Originally all the pots were labelled but after repotting any bulbs that looked as though they had a half chance at least of surviving I had no idea which bulbs were which. 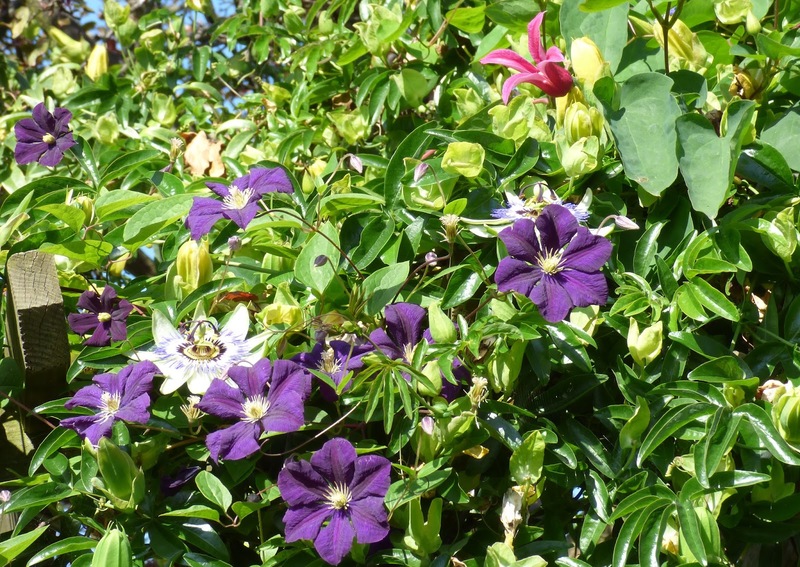 As I mentioned, in the end only one bulb produced anything and even then only a few straggly leaves. It was left in its pot and really forgotten about until this year when we noticed some shoots. The bulb was repotted into a larger pot and promoted to a better place in the greenhouse where it has repaid us by at last producing flowers. It's making quite a statement in the greenhouse in terms of colour and fragrance. It has been a long time coming - at least two years - and I can only dream of the display we would have achieved if the whole collection had made it to the flowering stage. But would we have kept about two dozen bulbs in the greenhouse that in the end took two years to flower - maybe not. I'm guessing they would have ended up in some forgotten spot in the garden where I doubt that they would have survived. A bee or not a bee? - That is the question.